Commuters have always complained with the way taxicabs are operated in the country and the public sector can only do so much to address the issue. With the assistance of the University of the Philippines (UP) Cebu, a start-up company has risen to the challenge. According to the announcement made by UP, Micab has given commuters an alternative to old-school taxicab fleet and management hailing. UP Cebu Business Incubation for IT (UPCeBuInIT) lent its helping hand to the start-up company and gave it a home since January 2015. UP’s incubation, with the help of the Department of Science and Technology (DOST), is making it possible for Micab to meet the transport challenge. The University of the Philippines has provided Micab its home, as well as scientific and entrepreneurial network support to its 20 regular and freelance staff. According to Micab Chief Technology Officer Kenneth Baylosis, the facility provided to them by UP has been very beneficial to their growing start-up since the rates are not expensive. 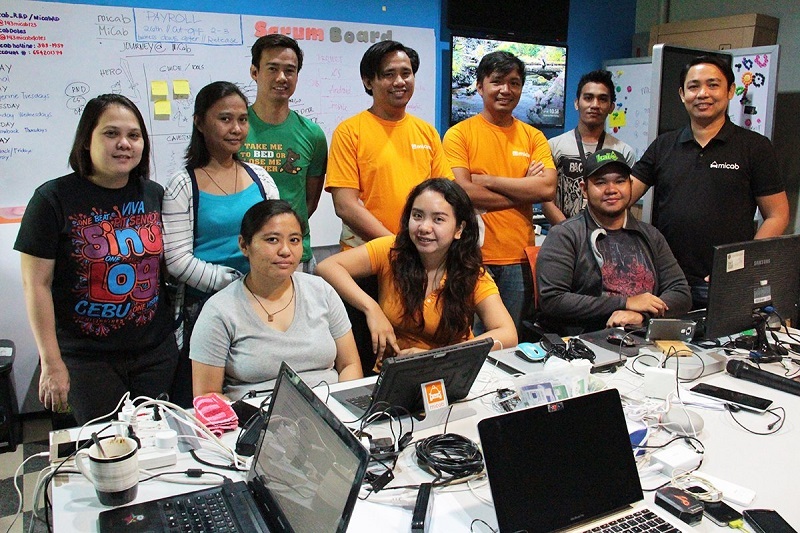 UPCeBuInIT has paved the way for Micab to expand its business network. It also referred Micab to DOST for a technology development grant and in return, DOST hopes that it can provide the government with the important transport data it needs. Micab began as an SMS-based taxicab hailing back in 2012. It evolved to a working data-based application by 2013. It was only when UP Cebu took the start-up in that it started to have a staff that would run and continually upgrade the service full-time. It even has an active customer support for its growing number of clients. At present, Micab is known as an internet-based taxicab hailing application that has been introduced into national consciousness in the wake of Grab’s takeover of the country’s transport network vehicle service (TNVS) private fleets. Mr Baylosis summarises the system as providing taxicabs with a system that monitors and manages the fleets. Not only that, but it also allows the riding public access to taxis through an app. Since originating in Cebu, it has now conquered 50% of Cebu’s taxicab fleets, equivalent to around 3,000 units. It is slowly conquering the country as it is now powering over 2,000 taxicabs in Manila, 700 in Iloilo, and 500 in Baguio. It is also being introduced in Bacolod, Davao, and Cagayan de Oro. Also called as Taxicab 2.0, the app has improved the taxicab experience. Micab app chooses the taxi units that it powers based on requirements. Micab checks if the units meet the standards, certifications and clearances set by the Land Transportation Franchising and Regulatory Board (LTFRB). The units should not be older than four years and have adopted modern amenities such as GPS. The app assures the safety of the passengers because the complete profile of the driver can be viewed in it. Mr Baylosis added that Micab trains the drivers who must have undergone regular health and drug checks beforehand. To guarantee safety further, the app has a “Share Trip” feature which allows friends and family to track the cab. Mr Baylosis explained how Micab replaced old and bad habits already existing in the taxicab industry with technology. He emphasised how they are using technology to change the culture. They have a points system that will dissuade the drivers from refusing clients. Continuous acceptance of clients until a quota is reached would give incentives to the drivers. Mr Baylosis highlighted that Micab’s edge over others is its online support to both operator and customer. Reporting units that rejected passengers or lost-and-found items on certain units can be traced. Outbound calls are made, especially during urgent cases to address customer complaints, a salient feature of Taxicab 2.0. Moreover, Micab collects data to support further development. For taxi rides that were given three-star rating and below, they will go through proper investigative measures. UP technology incubation still remains to be a boost to Micab, a small start-up now playing against a multinational giant in the transport network service.